You won’t find Nala Premium in the 2018 Platter’s Guide. There’s little on the website too and so I was intrigued to go to the Monday evening tasting at the Vineyard Hotel in Cape Town’s Southern Suburbs. Nala Premium is a relatively new project for the chemical engineer owner (around 18 months) who sources wine from a top Stellenbosch cellar to bottle under the Nala Premium label. Nala is named after the ‘Prosperity’ that flows from Lesotho. The brand logo is simple yet classic: a contoured oak leaf with the letter N.
Just 3 wines are produced and all 3 were available for tasting. 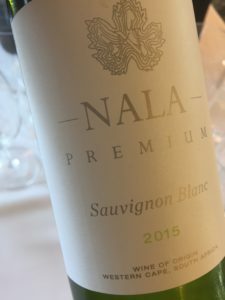 The Sauvignon Blanc had a great balance of tropical fruit salad and green herbaceous aromas to give good complexity – pineapple, guava, gooseberry and green bell pepper. I liked the intensity too and thought the wine was very lightly wooded as there were subtle undertones. Instead, host Samantha explained that the wine had spent some time on the lees. This gave it a rounded and slightly creamy texture that was pleasant. The Merlot was my favourite wine, but only just, and a good Merlot is hard to find. 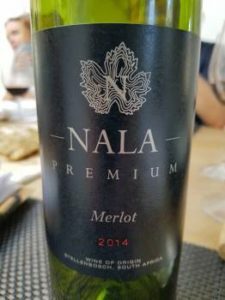 At excellent value for R125, this was a classic Merlot and light in style. The intensity of cassis, red cherry and pencil shaving notes was vibrant and welcoming. The notes followed through well to the palate, with opening tannins that were soft and silky. I would have preferred the wine served a little cooler. I rated the Cabernet Sauvignon as highly as the Merlot. This was another delicious wine and classic of its cultivar. Fuller bodied than the Merlot, plush and lush berry aromas of mulberry, cassis, blackberry and oak invited. The wine was lighter on the palate than expected and good for it. 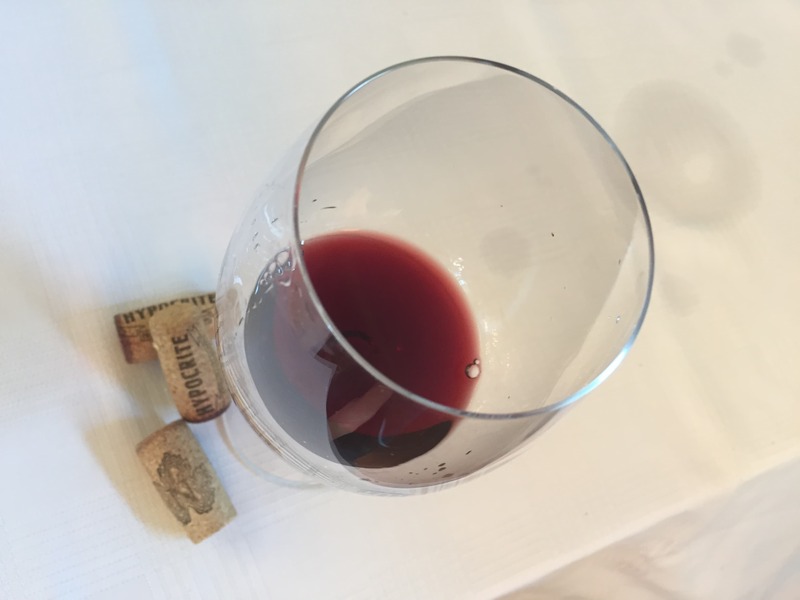 Many Stellenbosch Cabernet Sauvignons are heavy in mouthfeel, ideal for red meat, but sometimes I prefer the lighter Old World style with its greater subtlety and delicacy. 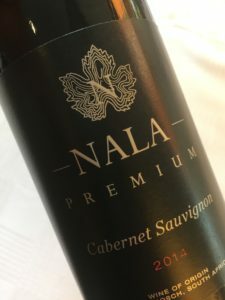 I liked the Nala Premium wines. A Sauvignon Blanc, a Merlot and a Cabernet Sauvignon but each made with quality and with a twist. The wines are good value too for their price, can be purchased by the case (6 bottles) online, and especially coming from the Stellenbosch region. Nala is definitely worth a buy.